From the first day of preschool until graduation, each Dock student is nurtured by a community that serves as an extension of family. Teachers are caring and supportive. Parents are thoughtful and involved. Peers inspire and encourage. At Dock you will find a true community of learners. 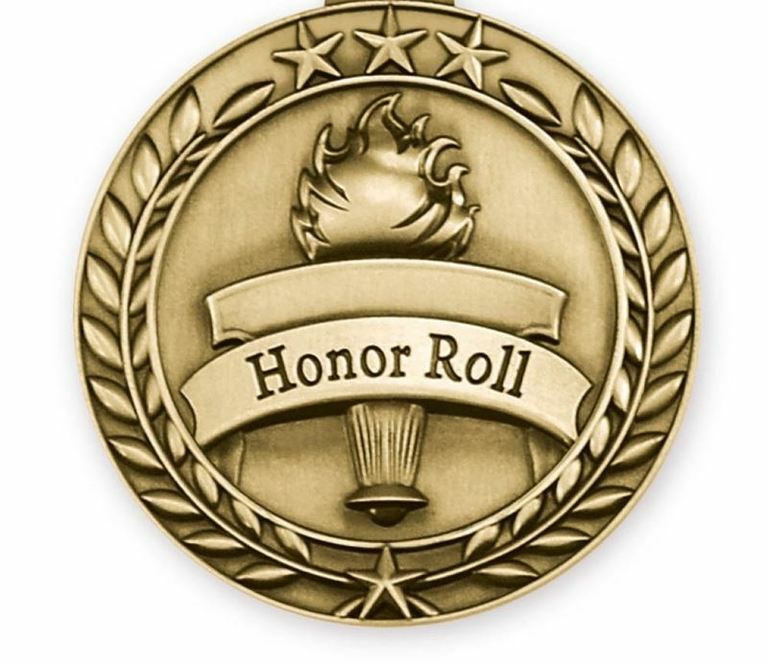 The Grades 9-12 Campus Honor Roll for the 3rd quarter of the 2018-19 school year has been posted on Dock's website. 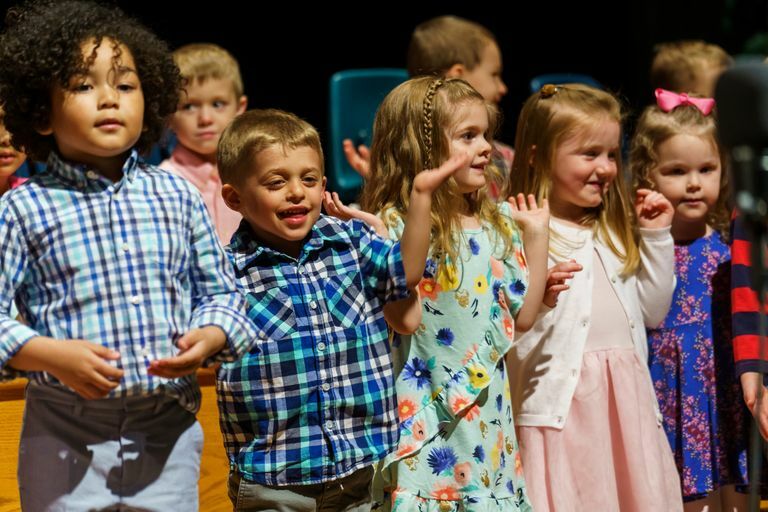 Children in Dock Mennonite Academy's Early Childhood program—3- and 4-year-olds and Developmental Kindergarten—performed their spring program on Wednesday, April 10. Photos and video of the program have been posted to Dock's web site. Students in Mrs. Mast's, Mrs. Kehs', and Mrs. Nelson's classes participated. 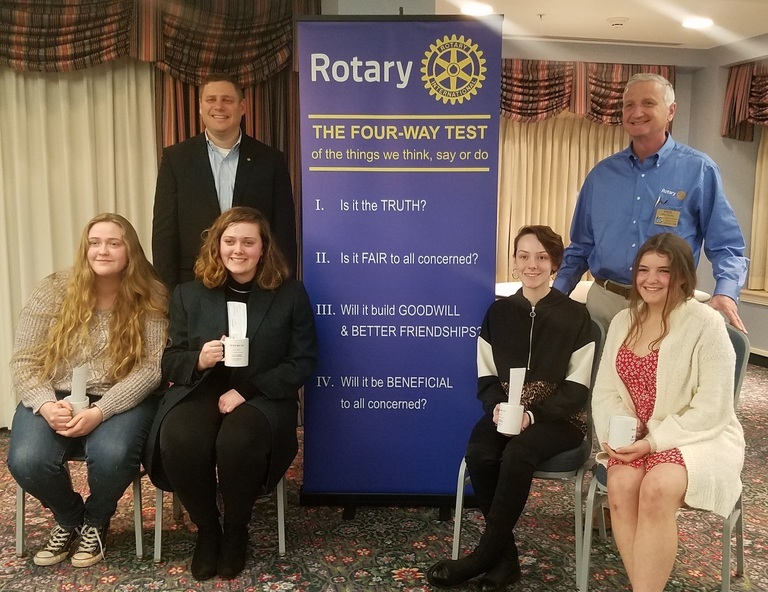 Congratulations to Dock senior Olivia Yates, who was selected the 2019 winner of the Souderton-Telford Rotary Club's STEM Scholarship. 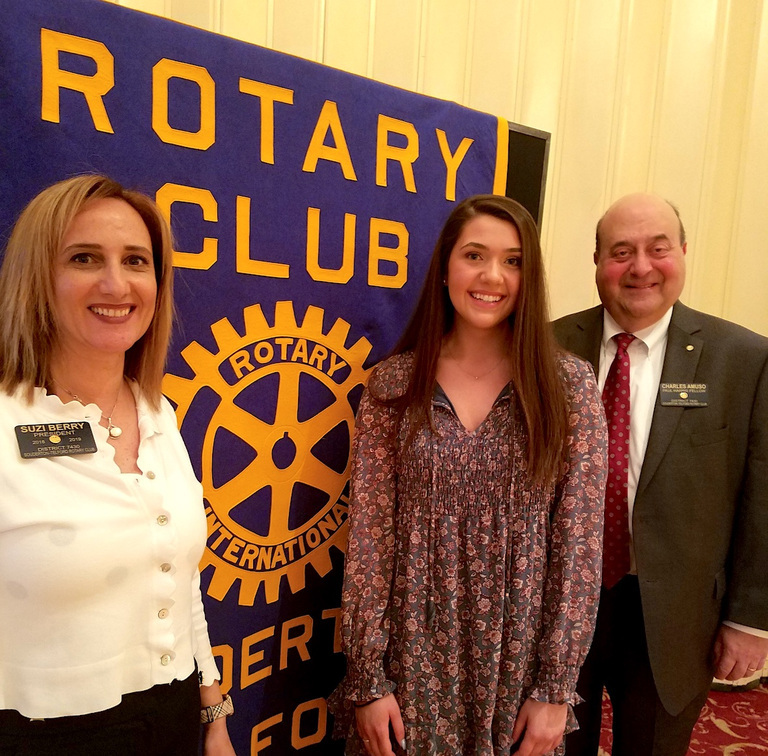 Olivia (center) received the $1,750 award from Rotary President Suzi Berry and Charles Amuso, chairperson of the Rotary Club's Scholarship Committee. 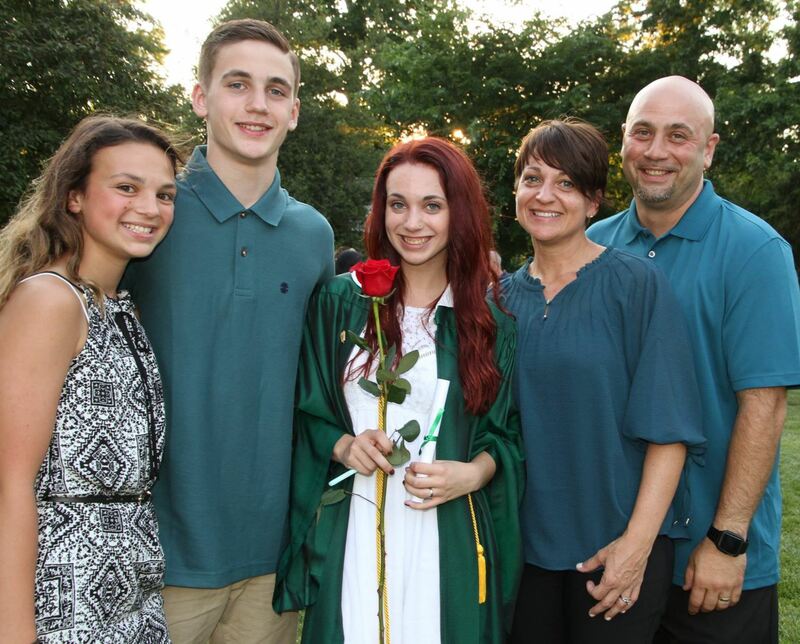 Congratulations Olivia! 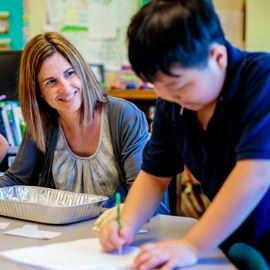 A story about Dock's new Project-Based Learning initiative, which will impact curriculum at both campuses. 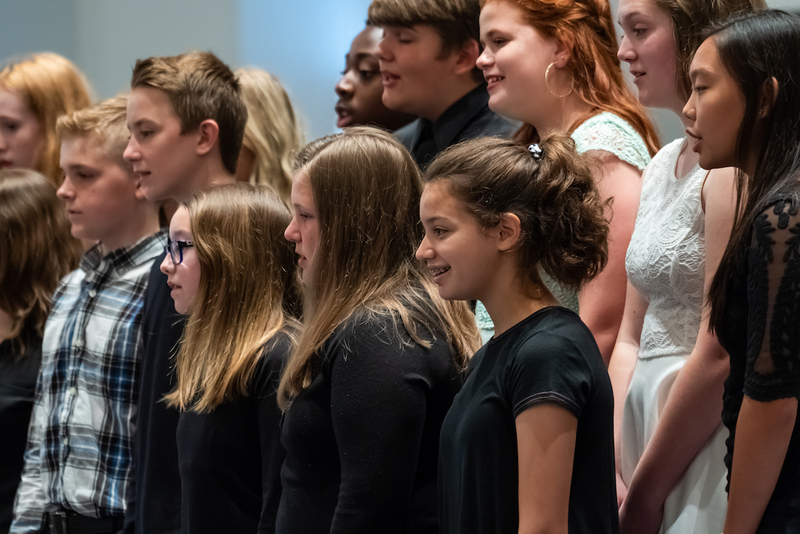 Coverage of Arts Day 2019, with the theme, "Harmony"
Links to spring golf tournament registration, 2019 Country Fair & Auction page, and more! There is additional online content available on many pages, which you can link to by scrolling over the page. 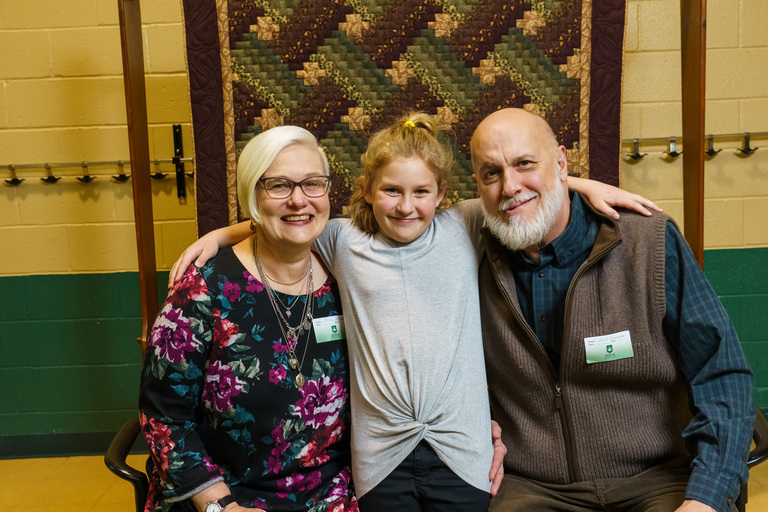 A BIG thank you to all of our 2nd grade grandparents who came out to enjoy a special time with their grandchildren! On Grandparents Day, it's always hard to tell who is having more fun, but everyone enjoys this special bonding time together. The highlight of the morning was a preview of the 2nd grade musical, Joseph, just for grandparents! Juniors are encouraged take at least one SAT or ACT exam in the Spring. When registering, remember to use Dock's CEEB code, 392149. Register by mail or online at collegeboard.com or actstudent.org for a test at the public high school nearest to you. 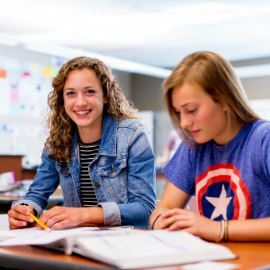 Students with the proper current documentation (within 3 years) for a learning disability, may qualify for accommodations for the SAT or ACT test. An SSD Student Eligibility Form must be submitted for each student requesting accommodations. 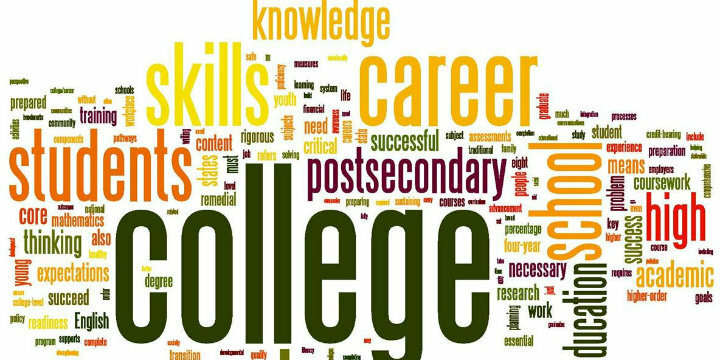 The College Board recommends that Dock submit SSD Student Eligibility Forms at the conclusion of the student's 9th grade year. If you feel your child would qualify for SAT or ACT accommodations, please contact Mrs. Leaman for a request form or additional information. SAT accommodations and ACT accommodations are two separate applications. After the student has been approved for accommodations, it follows him/her through high school. Scholarships are out there . . . You just have to search for them! 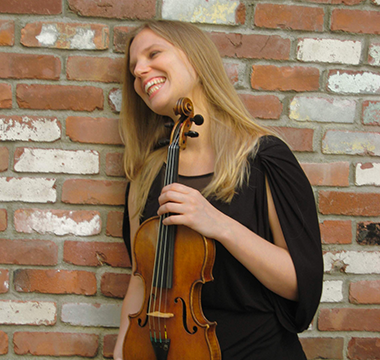 There is still time to apply for scholarships! More information, including a list of specific scholarships and their application deadlines, is available in the Guidance Office. This Scholarship List is also available on the website. Remember to check your local newspaper and library for scholarship opportunities. Talking to the financial director at the student's college of choice may also uncover other options. It takes work, but there is money to help support higher education. Below are some helpful online resources to assist you in scholarship searches. Parents, remember to check Collegeboard.com or ACT.org for information to support your student. Along with college information, there is also a timeline, registration and practice tests, and other helpful tips. Guidance encourages you to take time and search this site for helpful information. Beginning the week of May 6th through May 17th the Guidance Office will be administering AP tests. There will be approximately 154 tests administered to students who have registered for 21 various AP tests. Looking for things to do this summer? Check out the kiosk in Rosenberger Center for ideas! Enrichment activities look impressive on the college resume. See your Guidance Counselor if you have questions. 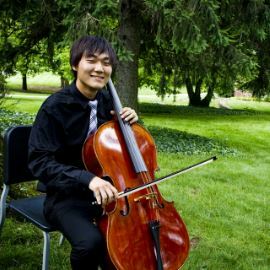 A Senior Recital will be held in the Longacre Theater on Tuesday, May 28, beginning at 7 p.m. 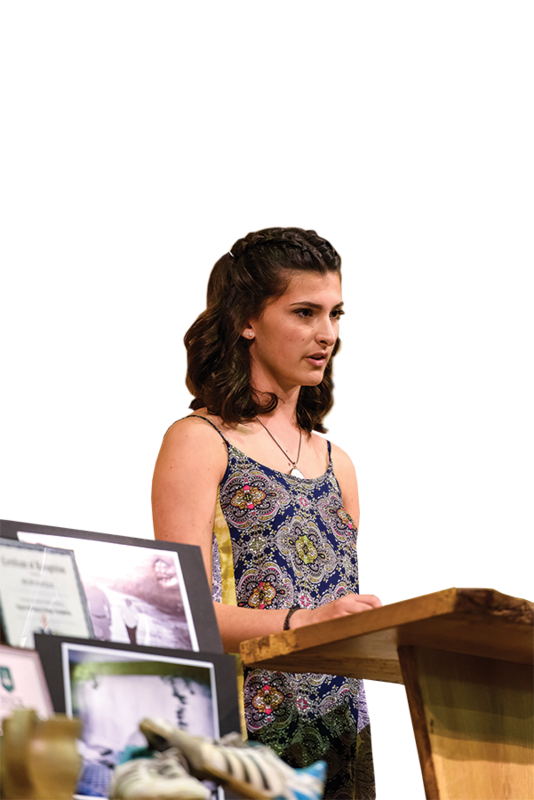 Seniors will showcase their gifts in music, art, and design. 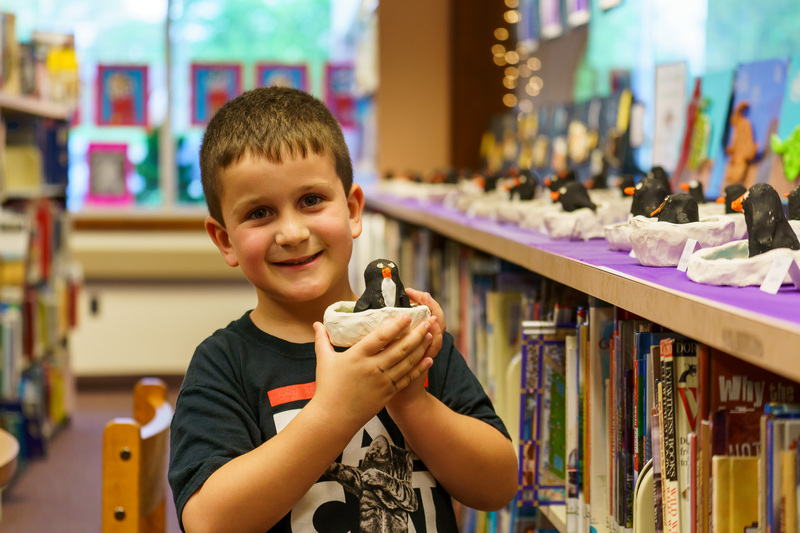 The Dock community will have two important opportunities to see school-related artwork on public display during the months of April and May at the Indian Valley Public Library. 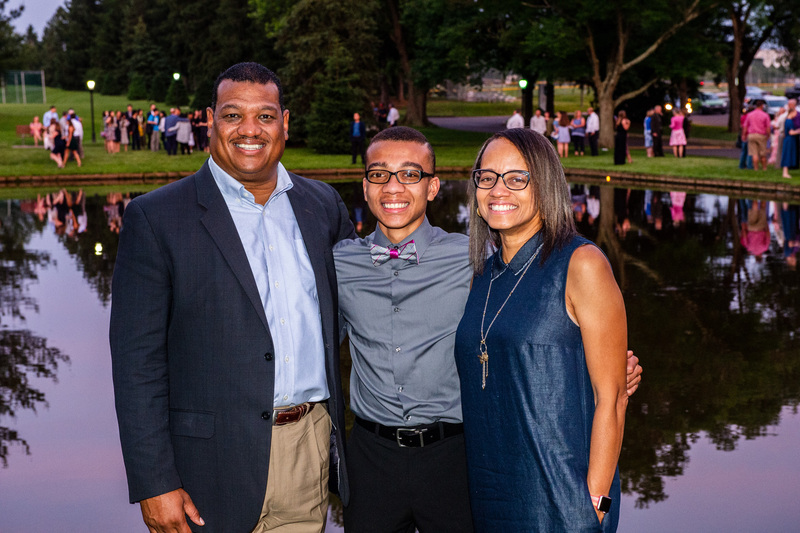 Back in October 2018, Dock parents Kimberly and Jonathan Stemler made a unique contribution to a community-wide art project that celebrated a century of growth and progress in the borough of Souderton. Using a 100-year-old window taken from the original offices of Univest—and provided by Univest executive and Dock parent John Duerksen—the Stemlers created a layered, topographical map of the Indian Valley area (photo, above). 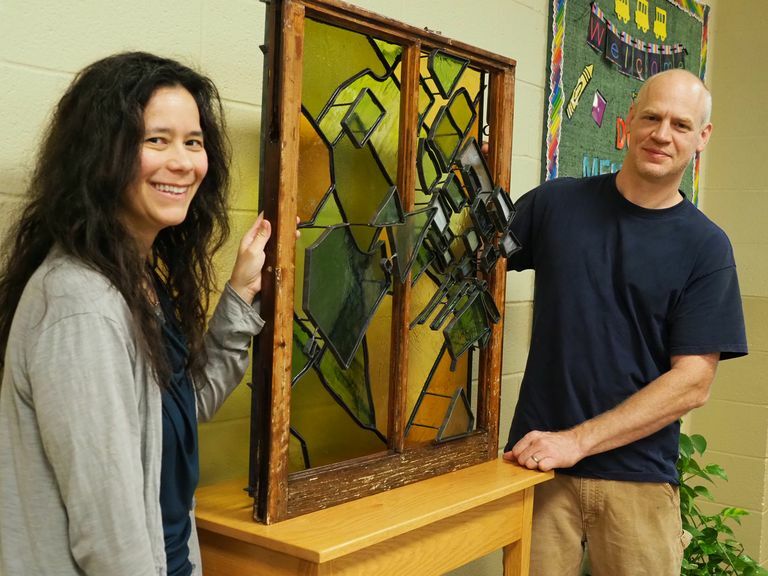 A number of other artists also created windows for the project, entitled Windows of History: Souderton Past, Present and Future, and all the windows will be on display during the month of April at the Indian Valley Public Library. This is a great opportunity to see these unique works of art! Speaking of unique works of art, Dock's Elementary Art Show will be held at the IVPL during the month of May, featuring works by our EC to Grade 8 students (below). There will be an Art Show reception at the library on Monday, May 13, at 6:30 pm. Mark your calendars now and plan to attend the reception and support our young artists! 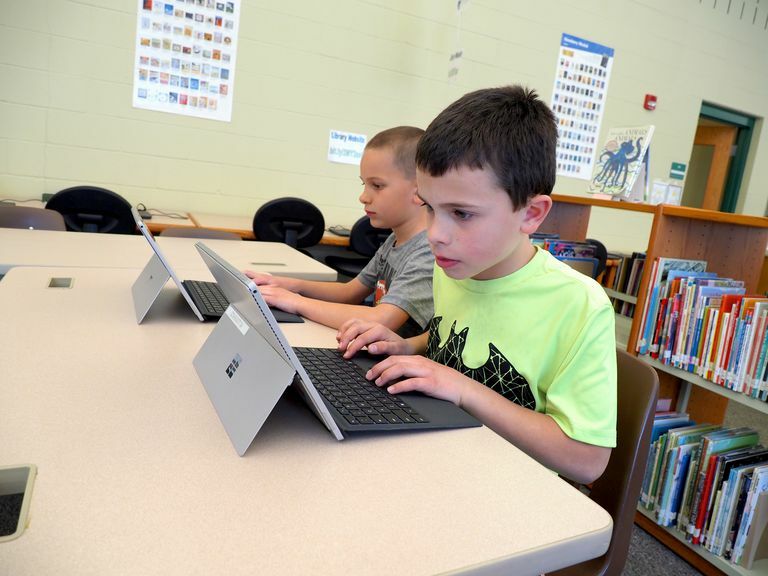 Eighty Dock students in Kindergarten through middle school experienced an after-school STEM adventure, diving into the world of computer science and coding! Younger students visited hands-on stations creating and launching "Peeps" parachutes and making hovercraft out of paper plates, feathers and other materials to test for flight in an awesome wind tunnel. A special thanks to teachers Mrs. Trish Landis and Mrs. Kathleen Taylor for bringing STEM to life, and to Microsoft for an awesome adventure in coding! Congratulations to Dock students Ashley Mellinger, Madalyn Bergin, Aya Berry, and Mirabel Fizzano for their success in the Harleysville contest. They will now move on to compete at the district level. What effect do war and conflict have on the human condition? 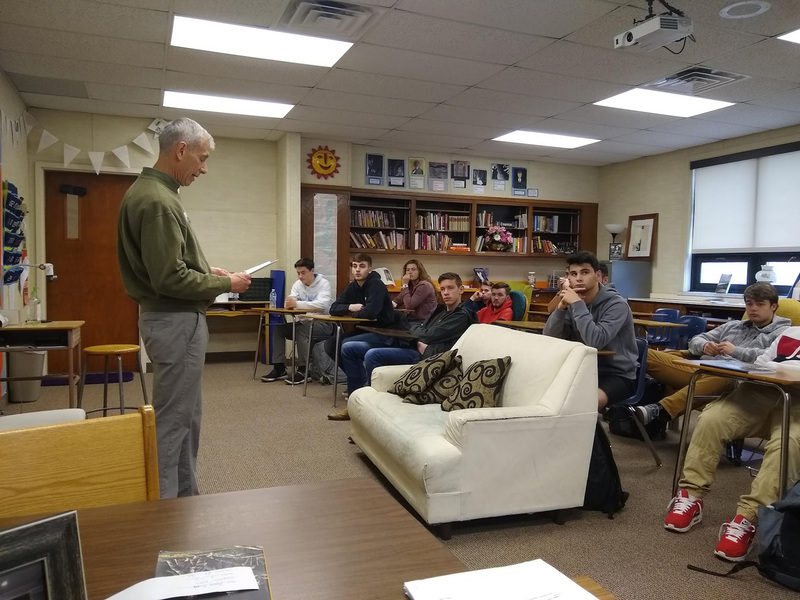 Students in Mrs. Becca Nagy's Literature of War and Conflict class are having their understanding enriched with a series of guest speakers this quarter—most of which are able to speak from personal experience. Students submitted summaries of the presentations, and some of those excerpts are included below. 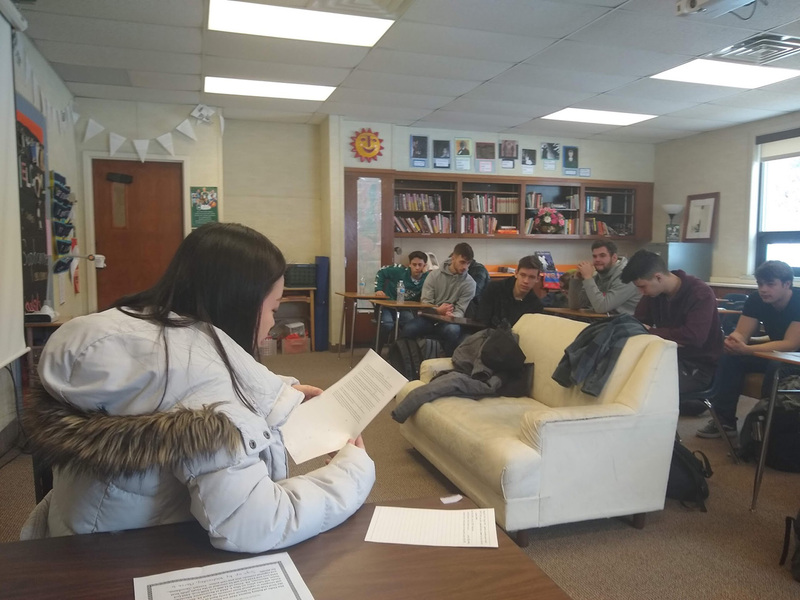 "I hope that students have been able to think about the decisions they would make if we were to have a draft again in the United States and what they believe is the best decision for them personally," said Mrs. Nagy. 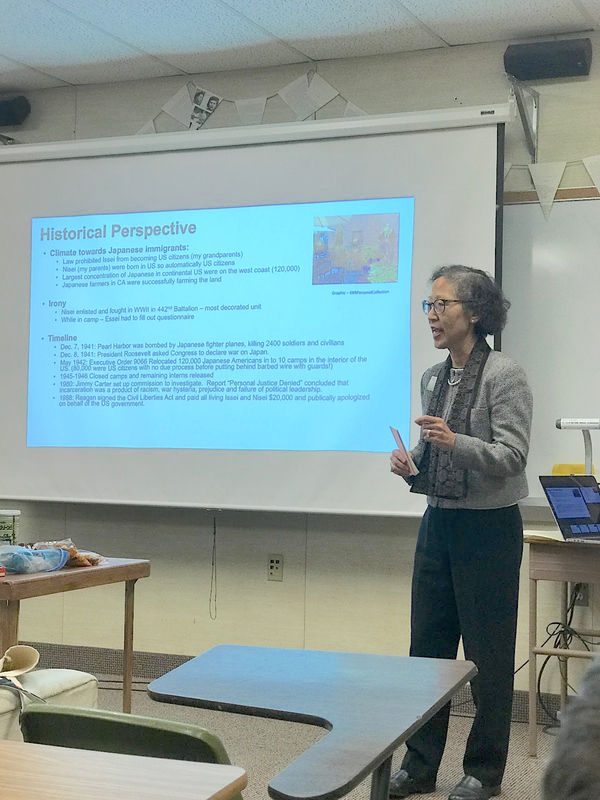 "By hearing from different perspectives from 10 different speakers, students were able to question their own beliefs and ask many important questions." On February 14, we went to Dock Manor to meet Gwen Eagleson, a black woman who grew up in the segregated South. It was a really open discussion. She lived in Georgia, then moved to the Philippines, where she met her husband. Together they moved to California, "the weirdest place to live," she said. During the open discussion we talked about discrimination in the U.S. and in other parts of the world. A student from our class, Seohyun Park, said that this problem is present also here at Dock, and that American students sometimes prefer to avoid having relations with an international student. At that point, I joined the conversation saying that I didn't agree with that, especially here at Dock. Her answer was, "You know why? Because you are a white woman, a privileged woman." I was confused and a little bit shocked, honestly. This opened me up [to realize that], during the first days of school, the American students preferred to talk with me (I'm from Italy) more than with other international students. 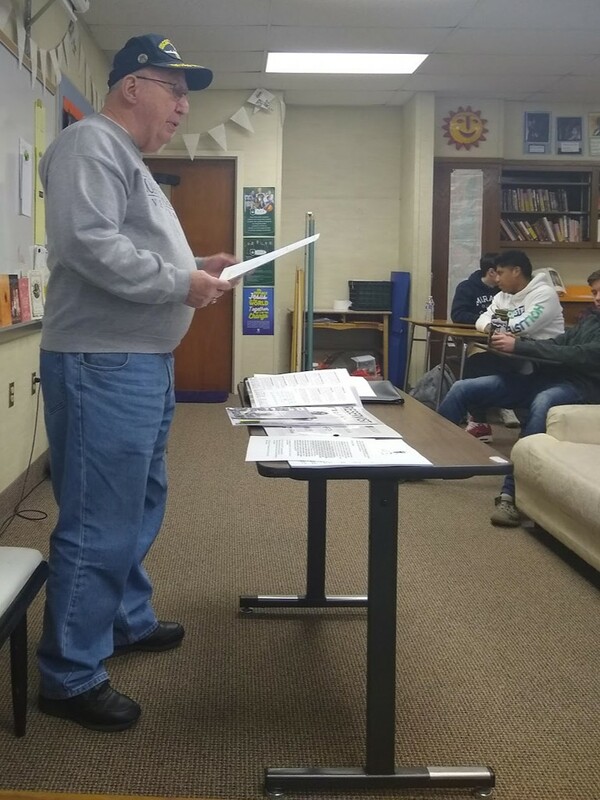 Mr. Edgar Stoesz share about his time as a conscientious objector during the Korean conflict. 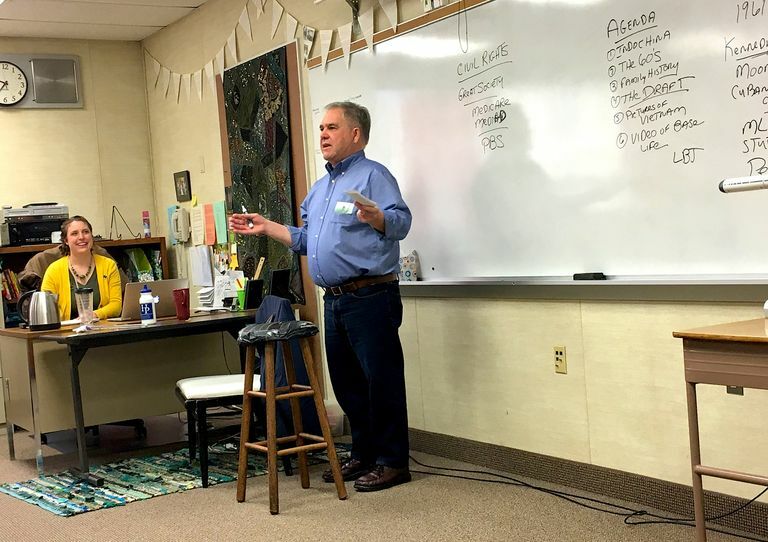 Hearing about his reasons for becoming a conscientious objector and how his faith as a Mennonite impacted his decision was important for us to hear. 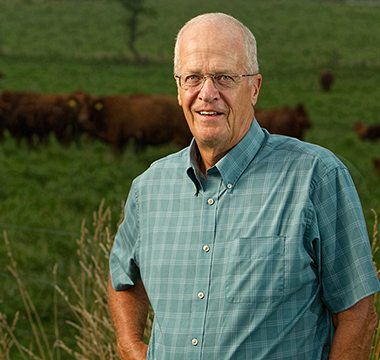 He gave us background information, statistics, quotes, and described alternative assignments available at that time. Students were engaged during his presentation and asked many thoughtful questions. Edgar left us with a quote: "God is directing your steps in a future you cannot predict." Mr. Sam Lapp (right) grew up in this area and graduated from Dock in 1957. His father was a pastor. 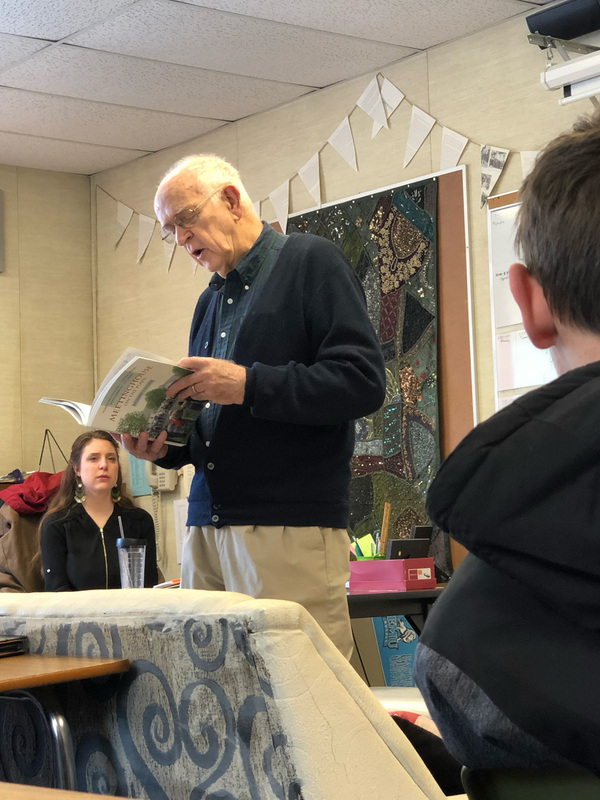 Growing up, Mr. Lapp was taught that he must be a Conscientious Objector instead of enlisting because he was a pacifist. He told us many stories about his experiences as a CO. He explained what Conscientious Objector is and what it means. To become a CO you had to sign up for the draft and take a placement test. 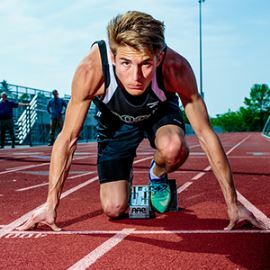 He placed the fourth highest out of everyone in his class. Once he was approved to become a CO, it was his responsibility to find a job through the Selective Service. On the field, court and stage—these are the places where memories are made. 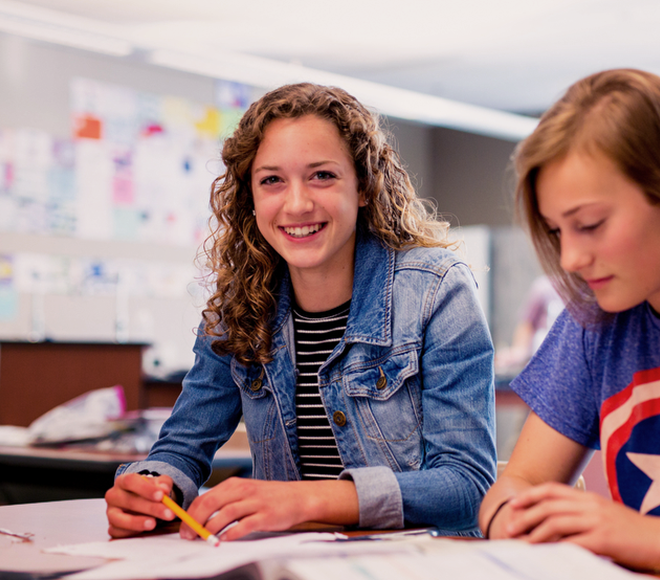 At Dock, the arts, athletics, and other co-curricular opportunities are an essential component of the learning experience. Play here. Excel here. Win here. Dock strives to develop a life-long love of learning—and our faculty lead the way. We love our school! 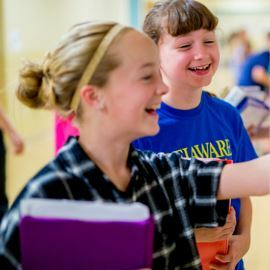 It has a Mennonite heart with solid, serious academics, beautiful families and children, and a superb high school. My experience at Dock has been amazing. The opportunities provided here are great for helping you figure out what interests you most! I have participated in a wide range of activities—from ceramics to sports to student government. I am truly grateful for the ways Dock has allowed me to express who I am and discover my unique qualities. 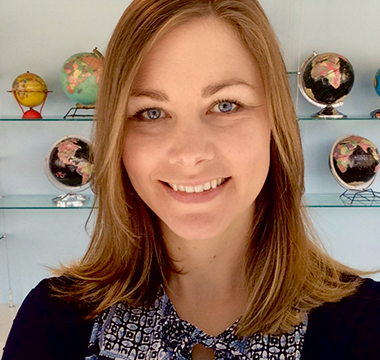 "Teachers expressed genuine concern for each of our children through words and actions. 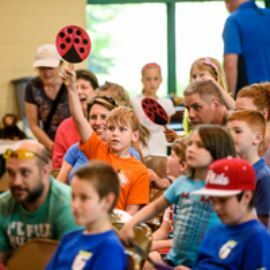 They recognized the individual qualities, traits, and strengths of each child and focused on their spiritual, academic, social, and athletic qualities." 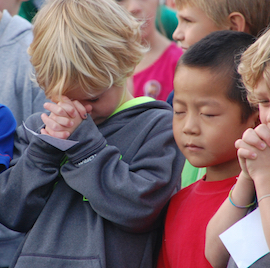 "We give thanks to God for the friends, faculty, and experiences that have shaped each of our children. It is so rewarding to see what God has created in them. 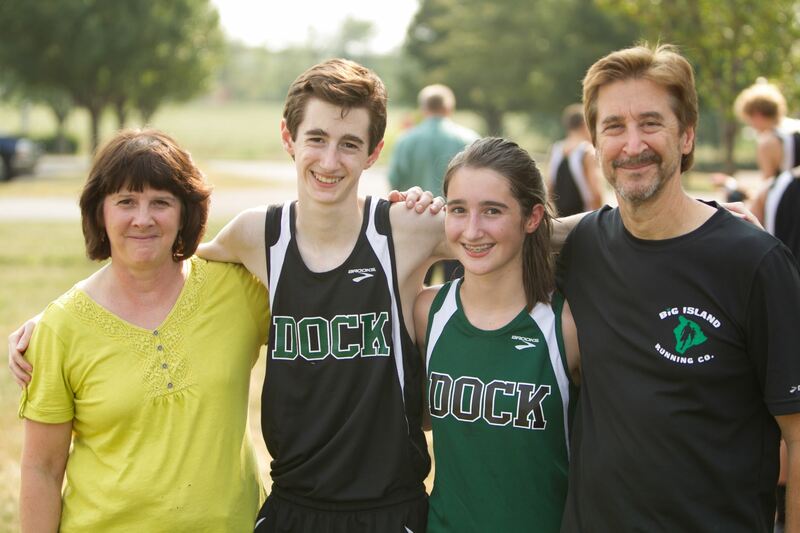 From establishing a Christian foundation in grade school, to encouraging and creating service opportunities, to living out their faith in high school, Dock has partnered with us as our children have matured over the past 16 years." 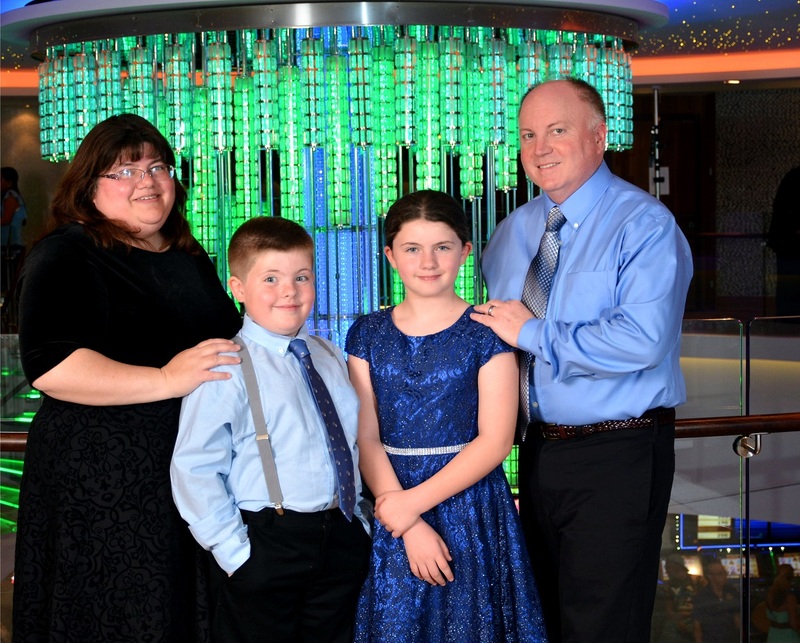 "One of the best decisions we’ve ever made was to send our girls to Dock. You provide kids with a holistic and individualized education and you help them to recognize their abilities and their limitless potential. Emma is a different person today than she was walking into that school in September. 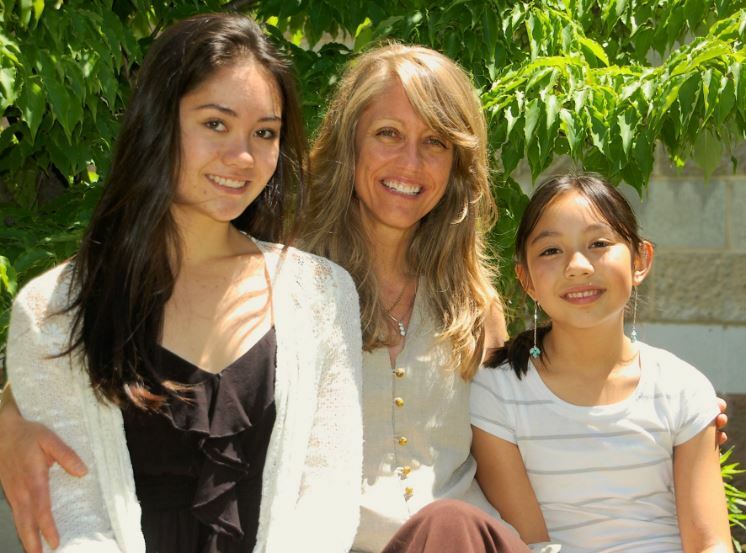 We are so grateful to all of her teachers. Each one made an impact on her—that’s not an exaggeration." "Olivia is thriving at Dock. She knew she was home the first time she toured the campus. We appreciate the fact that it’s OK for our girls to speak about their faith, to ask questions about what they believe in. Our girls are growing spiritually and building a stronger relationship with God, and they see that we all have a role to play in changing our world. The teachers at Dock are sincerely interested in and care about our girls. What you all do is very important—it goes beyond textbooks. Olivia and Emma are happy." 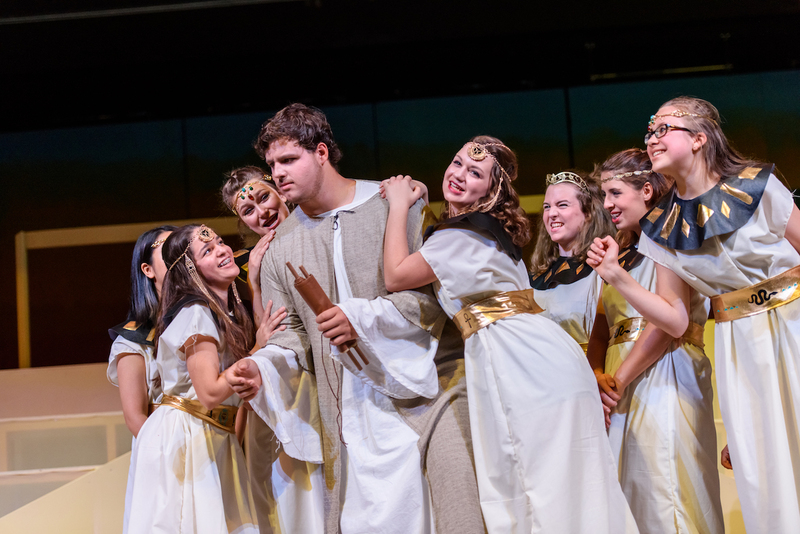 Tim and Erica Celenza, parents of Olivia ('20, far left), performing in Dock's 2017 fall musical, Joseph & the Amazing Technicolor Dreamcoat. We believe that school should inspire students—and parents. 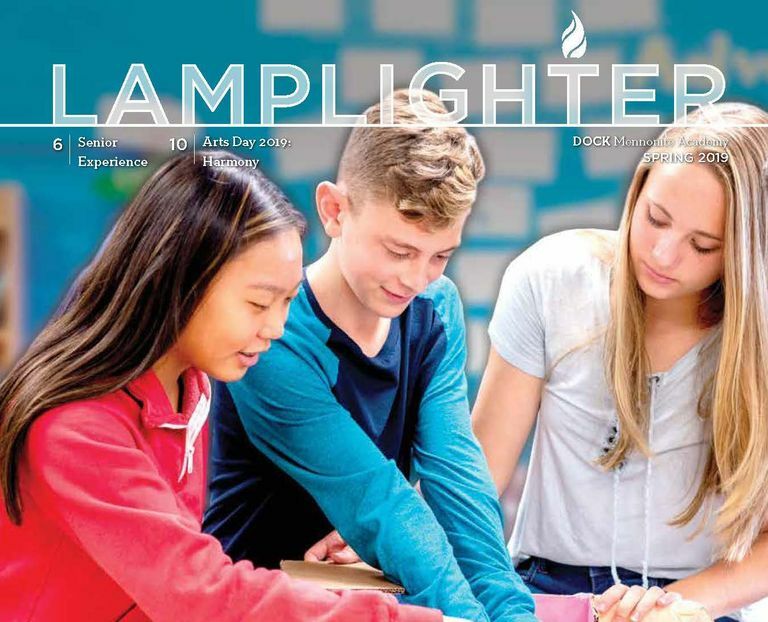 Our faculty create a challenging but supportive environment that makes students want to learn, but also provide a meaningful faith context for learning. That's what learning for lives of purpose is all about. 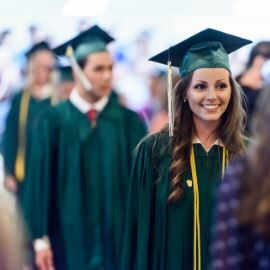 Investment in a Dock education begins yielding a return almost immediately, as graduates place a high value on their high school experience and discover they are exceptionally well-prepared for college. Yet the dividends continue to grow for a lifetime.